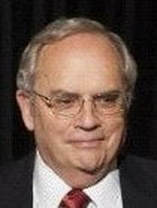 Ned was the founder and CEO of Century West Engineering for 32 years. Century West is a highly successful NW regional engineering company, which specializes in infrastructure, planning, design and construction management. Ned has successfully spun off five companies from Century West including one of the 12 national environmental testing laboratories contracting to the USEPA. As a successful engineer, Ned is a recognized leader in the State of Oregon regarding sustainability, and he is the founder of the Center of Sustainability in Oregon, the current Co-Chair of Oregon’s Climate Change Integration Group, and the inspiration behind the esteemed APWA Julian Prize - awarded for Sustainability in Public Works. Ned holds a bachelor degree of Science in Civil Engineering, a Master of Science in Environmental/Sanitary engineering and is licensed as a professional Engineer in Oregon, Washington, Idaho, Nevada and California.